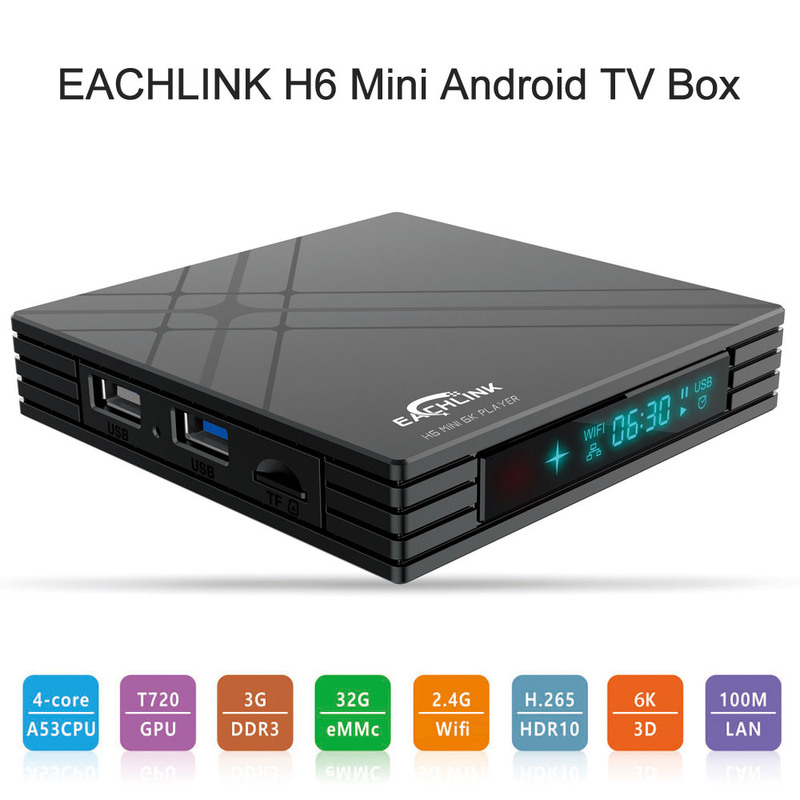 Equipped with the single-chip Allwinner H6 system and Mali T720 GPU, the Eachlink H6 Mini TV box offers 6K output and supports HDR 6K images, provides ultra high definition and fluent video playing, becomes the highest resolution signal available for home movies. The box runs Android 7.0 Nougat operating system and gives access to all apps that are available on Google Store. It comes with 3GB RAM and 32GB ROM storage space, enough for installing any of your desired apps so that you won't worry about video interruptions and picture distortion.